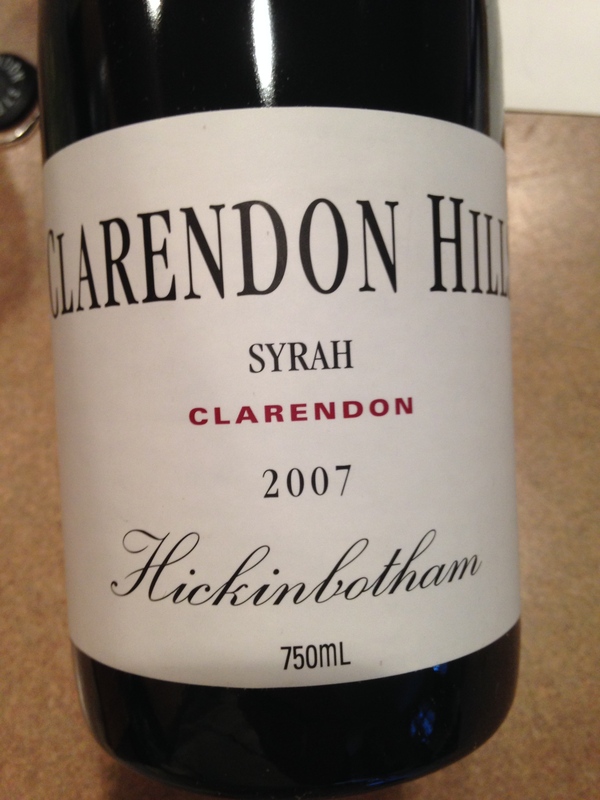 I am tasting my way through the Clarendon Hills portfolio, and I’m loving it. This particular Syrah was nearly black in the glass. It opened with plums and blue berries on nose with some pencil lead hints. My first impression was powerful and juicy with delightful tannins. I noticed that the wine sports a 14.5% alcohol which is well hidden. Chocolate and figs on the mid palate added to the complexity of the blue fruits. The wine has a layered elegance and smoothness that is fabulous. I like the way this winery makes Syrah style wines, very nice and atypical. It later hit me that this wine is very plummy, probably explains the denseness and extraction. I noted ‘Tight tannins that are well integrated.’ I would give this wine a span of 2014-2025 with evolution hopefully coming through with some secondary flavors evolving. I got a good deal on this bottle but even at it’s SRP of $75 it is an excellent value for money if you have a big dinner planned, running at 93 points for me and 4 stars. Ps. I served it with well seasoned Flank steaks but this Aussie wine was made for a leg of lamb, just my opinion. Salut….